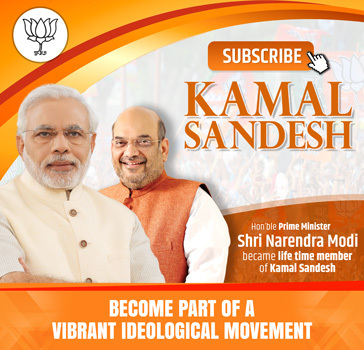 Bharatiya Janata Party National President Shri Amit Shah has asked Telangana Chief Minister K. Chandrasekhar Rao, who is also president of Telangana Rashtra Samithi (TRS), whether he could become the Prime Minister even if his party wins 16 Lok Sabha seats. “There is no such situation in the country. 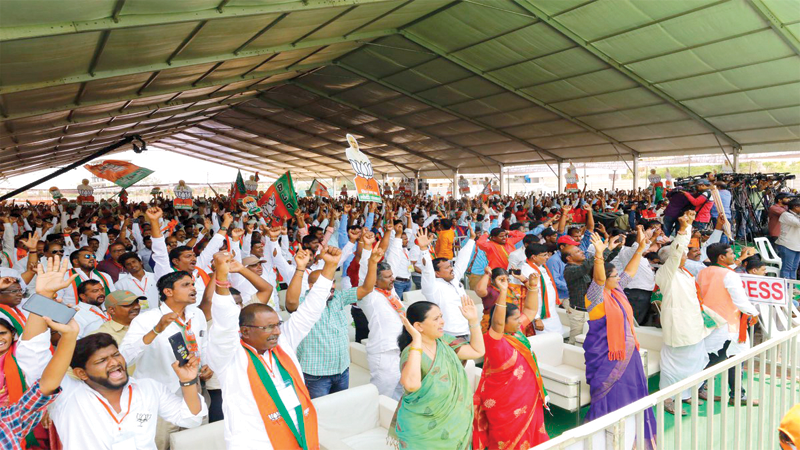 People have already made up their mind to make Shri Narendra Modi their Prime Minister one more time and the mood of the people during my election campaign across the length and breadth of the country indicates that,” Shri Shah said, addressing an election rally at Shamshabad in Hyderabad, 09 April 2019. He alleged that both the Congress and TRS were indulging in family rule. People have no doubt as to who would succeed Mr. Chandrasekhar Rao as they had seen the trend with the Congress all through. The front led by Congress president Rahul Gandhi was being pulled in different directions by its partners even before polling and Mr. Chandrasekhar Rao’s federal front was only hypothetical, he added. Rebutting the TRS’ allegations of discrimination meted out to Telangana by the Centre, the BJP President said Rs. 16,000 crore was given for Hyderabad metro rail project and several other national-level institutions and universities were also sanctioned to the State. They included biodiversity research centre, national centre for disease control, centre for innovation of defence excellence, AIIMS, agriculture, horticulture, veterinary and tribal universities. Besides, Rs. 40,800 crore was given to Hyderabad-Bangalore and Hyderabad-Vijayawada highways, Rs.500 for Warangal and Karimnagar under smart cities project. Nine new railway lines were also sanctioned to Telangana during the last five years, Shri Shah said, adding that against Rs.16,500 crore given to the State during its 10-year rule by the UPA Government, the BJP-led NDA Government had given a whopping Rs. 2,45,847 crore in five years. Taking a dig at Mr. Chandrasekhar Rao, he alleged that the State government was not celebrating Hyderabad Liberation Day fearing Asaduddin Owaisi (AIMIM) and said only the BJP could get Hyderabad rid of ‘Razakars’. BJP President said the Congress and its ally National Conference were talking about a separate Prime Minister for Jammu & Kashmir, but the BJP won’t allow it to happen under any condition. He also stated that BJP had plans to bring a national register of citizens across the country to weed out illegal immigrants. BJP State president Shri K. Laxman, former Union Minister Bandaru Dattatreya, national general secretary of BJP Shri P. Muralidhar Rao and others spoke.